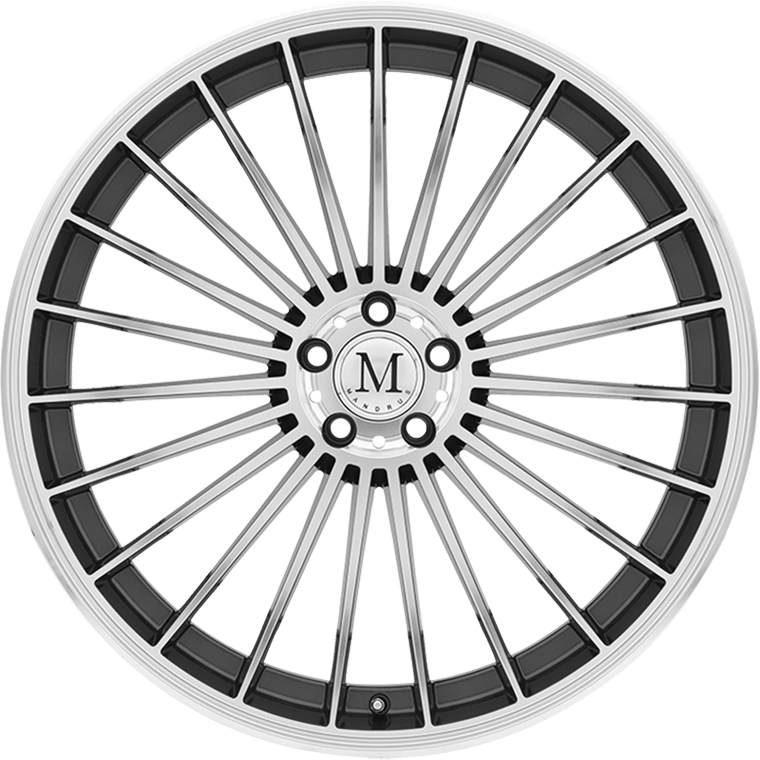 The clean, optically radiant twenty three spoke of the "23" have the sophisticated DNA of racing and luxury integrated into a meticulously proportioned custom wheel that fit perfectly with the timeless designs of Mercedes. The clean, optically radiant twenty three spoke of the "23" have the sophisticated DNA of racing and luxury integrated into a meticulously proportioned custom wheel that fit perfectly with the timeless designs of Mercedes. The monoblock casting methodology we employ to manufacture the "23" Mercedes wheels, use a proprietary hardened aluminum alloy, enables us to achieve the exquisite detail of the sharp resolution of each spoke to the edge of the wheel lip ring that make the wheel gleam just right . We added the extra three spokes to a more usual twenty multispoke in order to optimize the visual kinetic play of how light hits these alloy wheels whether parked or in motion. Mandrus 23 Mercedes custom rims are available in 17 as well as staggered 18, 19, 20 and 22-inch diameters, all in two widths, one a full inch to an inch and a half wider than the other to support staggered fitments, wherein rear axles wheels and tires are larger, for improved traction and a more aggressive stance.